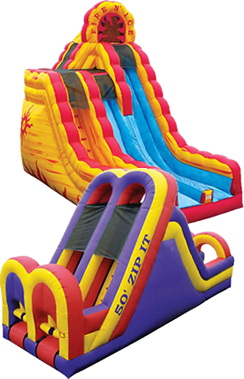 Bounce ‘N’ More, LLC is a family owned and operated party rental business serving Mesquite. We provide Mesquite Bounce House Rentals and the fun to any kids party, corporate event, church function, fundraiser or gathering with Inflatable Bounce Houses, Water Slides, Combo rentals, Concession Equipment and Frozen Drink Machines. Our mission is to provide quality, safe party rental equipment in Mesquite, TX, that is clean and sanitized, with the best customer service, on-time delivery, and affordable pricing. We deliver to many of the great parks in the Mesquite area. Here are just some of the parks we are familiar with: Bruton Park, Brandy Station, Debusk Park/Kidsquest, Rorie-Galloway Day Camp, and Smith Park. Don’t forget your generator!